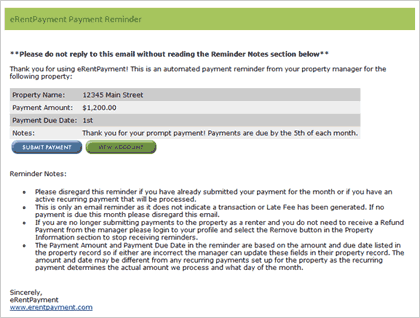 Let us handle the rent reminders for you so you can focus on other business details. 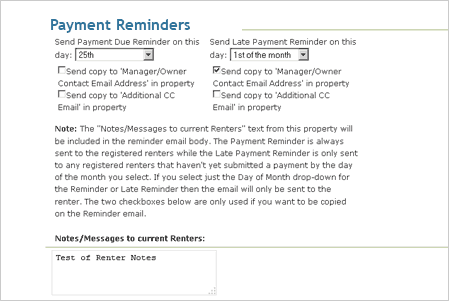 Monthly Rent Reminders can be set within each individual property to be emailed to the tenants on a set day of the month. 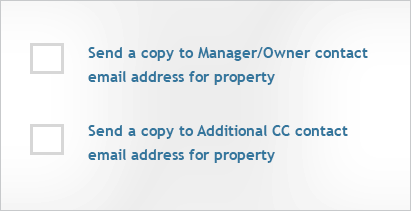 The late rent payment notice is only sent on a set day if a rent payment hasn't been submitted yet so only your tenants needing a nudge will get it. You can even copy yourself on the reminder if necessary so you can keep tabs on how financial transactions are settling even without having to log in.